← Can our bodies change our minds? Along with our 2 co-Directors in the Eco Travel Network (ETN), we have been working on the design for a modified rural version of a Renault Twizy. 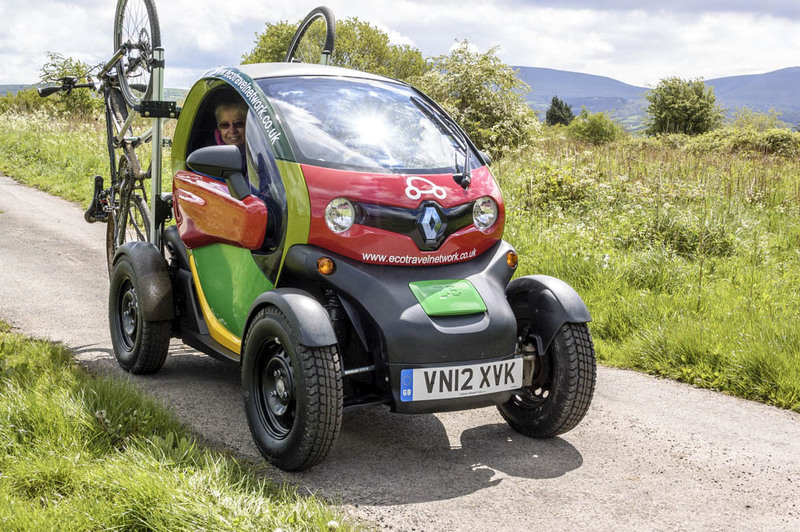 The 10 Renault Twizys currently in the ETN fleet work really well for visitors, local residents and small businesses but the Twizys were originally designed for city users and lack some of the ruggedisation and luggage carrying needed for everyday life here in the hilly Brecon Beacons. Our first Rural Twizy prototype has now arrived and we have been busy testing its performance and range against a standard Urban Twizy. You can read the results of early testing here. We will be further testing the prototype and redesigning bits over the summer and are also planning to take it back up to the isle of Eigg at some point following our trip there with Thierry-the-Twizy last year. We-the-ETN are running a trial on Eigg this summer of an electric buggy (Bruce) which has been developed in conjunction with Edinburgh College. Bruce certainly is rugged and will need to be for the rigours of life on Eigg. This entry was posted in Technology and tagged buggy, eco travel network, Eigg trial, low energy vehicles, Prospectors, Rural Twizy. Bookmark the permalink.